Usually, if you saw something online that told you that you could make £1,000 (yes, a thousand pounds) tax free in the next month, I would tell you that it’s a scam and to run as fast as possible in the other direction, BUT there is one “side-hustle” that promises this and that it is completely legal and legitimate. So why am I not shouting and screaming about it? Here’s my rundown of my thoughts about it, a year or two down the line of having tried it. If you are anything like me you will be incredibly sceptical about something that makes these promises, after all if there really is this amazing money making thing, why isn’t everyone doing? Is it really legal? Well, to answer the first question, I am convinced that there are a many reasons that not everyone is doing it. 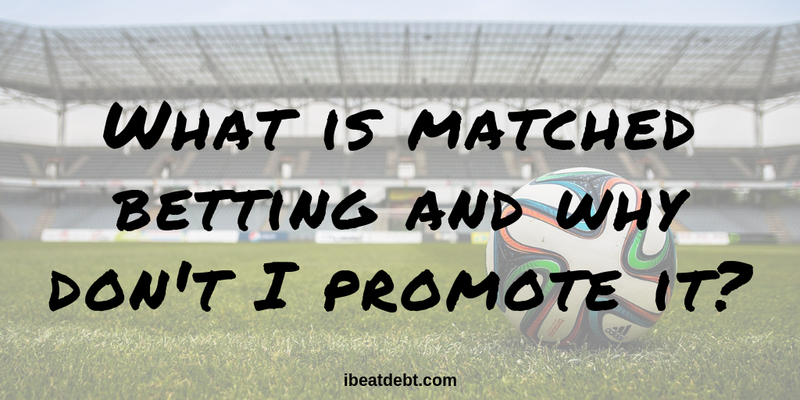 These range from people not having heard of it (which was me about two years ago) to people not understanding it – after all matched betting is actually not gambling no matter what the name implies. Even if they understand the principle that it uses the free bets that bookmakers offer to make a profit from them and then betting against yourself to guarantee a win, (there’s a lot more to it than that) it really is a complicated thing to get your head around. This is definitely something that puts a lot of people off. When I first heard about Matched Betting, I thought this had to be illegal, or at least really dodgy. I did a lot of research in to it before starting, as I was not in a position to lose any money. Not only is it completely legal, but there are a lot of articles about it online and a lot of resources written about it. It’s a common thing on money making and saving websites – it is after all pitched as free money. If you follow the instructions and don’t make any silly mistakes, then yes, it really is risk free. In the early days, when people are learning the process and all the terminology, it is super easy to make these mistakes though. If it’s free money – why are you not promoting it? There is a nasty side of matched betting that I have exposed myself to and this is why I don’t promote it any more. Please note that this is not a criticism of any other blogger or company who promote the service – I am sure that there are many people who are making long term good incomes doing it, but it just isn’t something that I choose to promote any more and here is why. Sports betting (which is what the vast majority of matched betting is done on) holds zero interest for me. I could read the instructions, follow along, place the required bets for and against an outcome and walk away with my profit no problem. The problem began when risk free casino offers came in to my life. I have a very addictive personality, but before I had come across matched betting, I had never tried online casino sites. The closest I got to a slot machine was $5 spent in a casino on holiday as a laugh. I certainly never sought out casinos or slot machines. There are a few risk free slots offers around, but a lot of the offers that are promoted in the casino section of matched betting sites are not risk free. They involve you making a deposit to access free spins or free credit. There is usually a minimum amount of wagering before you can withdraw any winnings and this usually ties up your initial deposit too, and so you very rarely will make a profit on these, and are in fact far more likely to lose your initial deposit and end up making a loss. The problem I found is that it is too easy to get carried away and chase a loss. “If I just put £10 more in I am sure to get my money back” or “Well if Joe Bloggs is making money, I’m luckier than them, it’s worth keeping going” or even “It’s just maths, if I keep going it’ll be my turn soon”. I was spending more money (not lots, but enough to make me uncomfortable) on not even the offers – just “I’ve had a bad day, I’ll pop £10 in”. I don’t drink or smoke, but it was becoming a bit of a vice. Every now and again you might end up with a win or a profit, and that would keep that mindset in place. I could rapidly see how addictive these machines are, and I was only exposed to it because of matched betting. I don’t think it was helped by seeing things online about how people were making obscene amounts of money through matched betting. 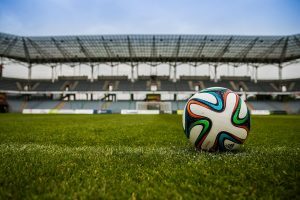 When you read these articles or posts, you would see that actually a vast majority of the big wins came from not risk free offers, and in my mind that is not what matched betting is about. That is gambling – end of. At the end of the day, matched betting helped me keep afloat, and helped someone very close to me keep going through their maternity leave (on my recommendation) and so for that I am grateful but having seen my own personal struggles, I don’t feel comfortable promoting it, especially to people who I don’t know and I don’t what battles they may already be dealing with. It doesn’t sit right with me. There are some great bloggers out there who have had no such struggles and run very successful online groups and forums for it, and I wish them no ill will. In fact, to anyone who promotes it and does it I wish you all the best and if you feel it’s something you wish to investigate then they are great places to support you. 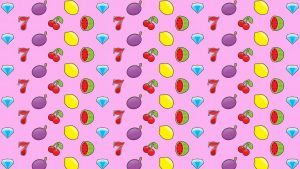 I however can’t actively promote it or drop my affiliate link (because anyone who runs a community like that will be an affiliate and making a commission through promoting it and I did at one point sign up to promote a matched betting service) because I don’t want to expose anyone else to what I’ve been through!